Lox Game Studio is an independent game development team that has been founded in Turkey, but without being strictly limited to making games, they also develop varied bots, libraries, applications, and API's. 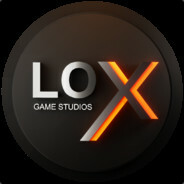 In 2012 the studio firstly founded in the name of Lox Studio and then got renamed into Lox Game Studio in 2015. As I heard in these days there are some scammers that are trying to steal Steam user's accounts. And seems they are most of the time succeeding. Let's not let that happen to one of us. Never but never give or use your password or username in any website that is similar to Steam's login page. You should know that creating an HTML page that is almost the same as Steam's design isn't so hard. Even if your closest friend sends you that URL, you should never open it and think that may not be him or her, and their account might also be scammed. Well, let's say you are about to log in a website with your Steam account, and it's really necessary, you have to log in somehow. Yes, I said do not log in to any website with your Steam password or username. But if it has a green bar on the URL that says "Valve Corp. [US]", know that the page you see is the real Steam login page and you can safely log in to your account. In short, if a website, that says will give free games and/or free toys, be aware that is most of the time fake. A company or a studio or someone that is sharing free game keys would never do that without wanting anything. They would want something for it such as "Join This Server", "Invite Your Friends", "Follow This Page". There is something they want people to see, and the only way to attract attention is giving free games. A person that is working in Valve would never want your password or username, if someone says something like that, do not believe them. Valve employees are always trying their best to ban these scammer's accounts. But you also should be careful to help them. Other than that, you don't need to be afraid if you do not click these links that seem too weird and contain unnecessary words. No one can do something to your account as long as you do not click these links or not logging into your Steam account in an unknown website page. Fake links generally imitate established websites, often by adding unnecessary words and numbers. The structure of the compiler system is planned and ready to be coded by our programmers. The project is fully modular and can be modified by a person. We will share some parts of the project as open source, to let everyone change it like how they want. The design of the project lets you compile multiple maps at the same time. We call that "Buildslaves". Everything will be much easier because you don't need to wait to finish the compile, you can continue doing your work while compiling the map. The software offers a project system, every map will be a project in the software when you add. Therefore, you will be able to share your project with others and can share your compiler settings in order to let others compile maps for your modification. Every project will have its own options for the compilers. And there will be suboptions in the compilers. You will be able to type code in suboptions, pre-build and post-build system. For now, it's all that we can say about it. See you soon with Lox Game Launcher.